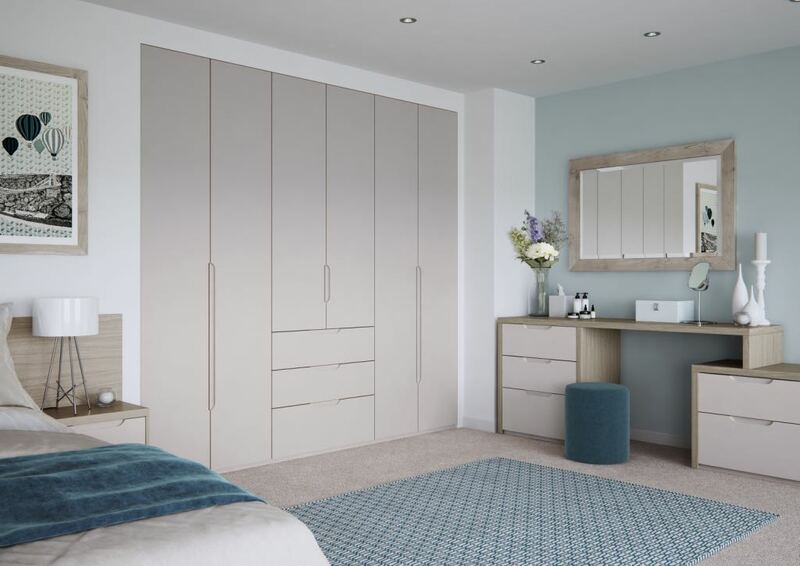 We've teamed up with one of the UK's premier furniture manufacturers, Mereway Bedrooms®, to bring you a gorgeous range of bedroom furniture. This is the "On Trend" range and it comprises of five different door styles in a variety of finishes and neutral tones. Choose from ultra modern or traditional designs all made from high quality MFC or FFC. 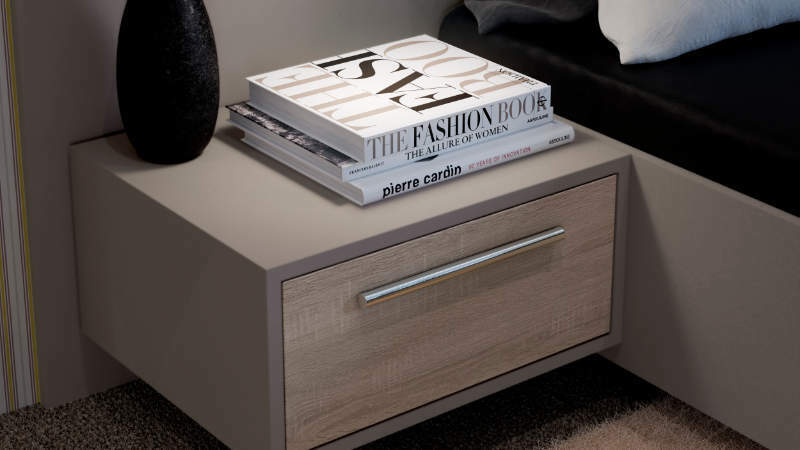 The components are also top quality, with hinges and drawer runners by BLUM®. 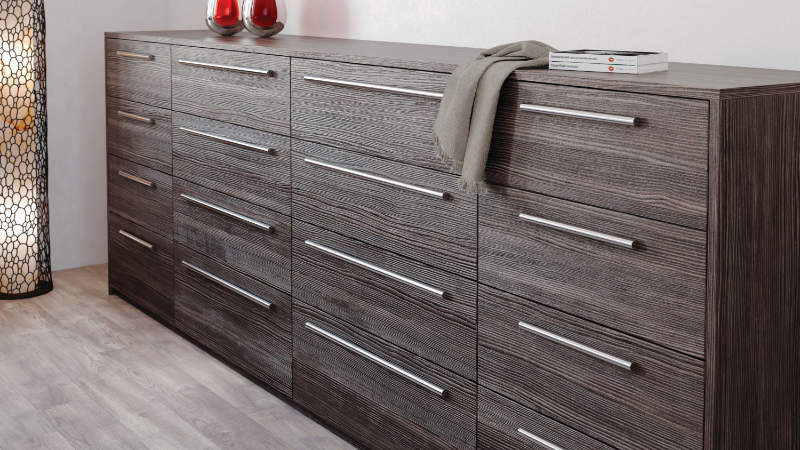 We have a full range of accessories, including complementary drawer chests, beds and headboards. 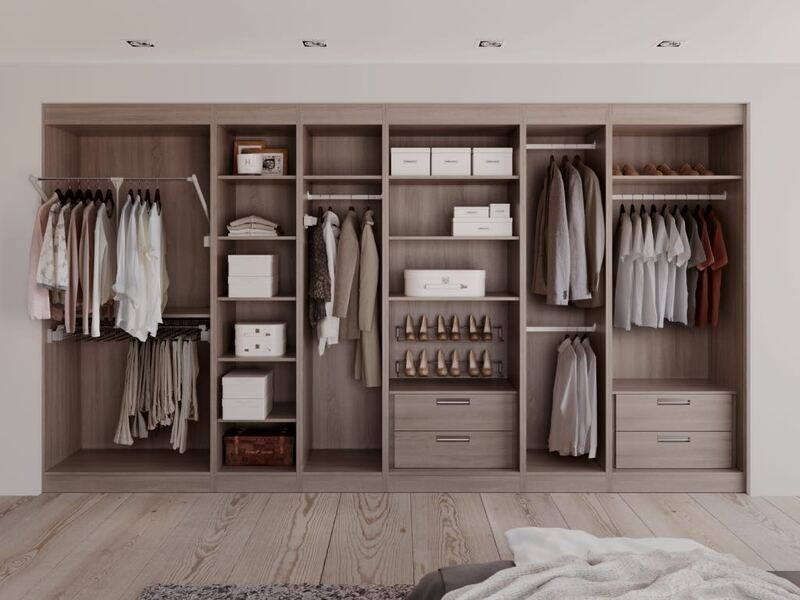 Add to this a comprehensive range of internal wardrobe accessories and lighting and you have a limitless design opportunity. 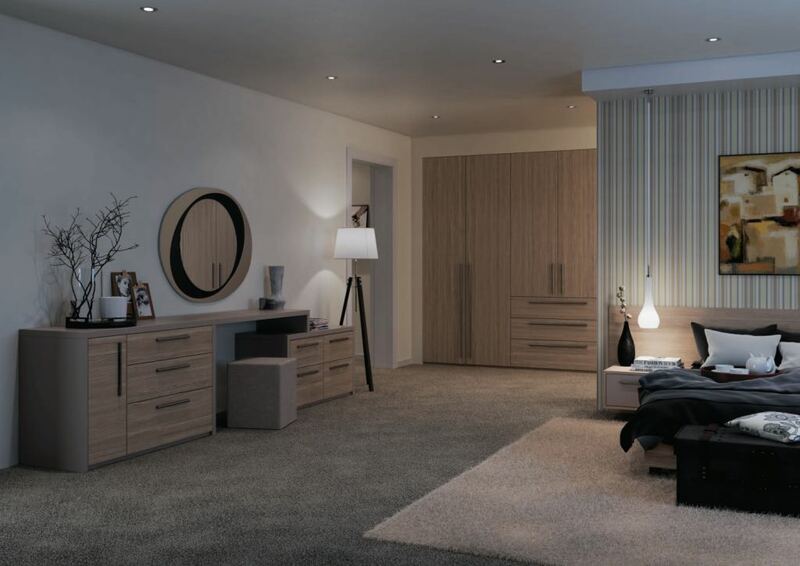 This furniture is made to measure and Jo will create a one off design especially for you, your room and your style. 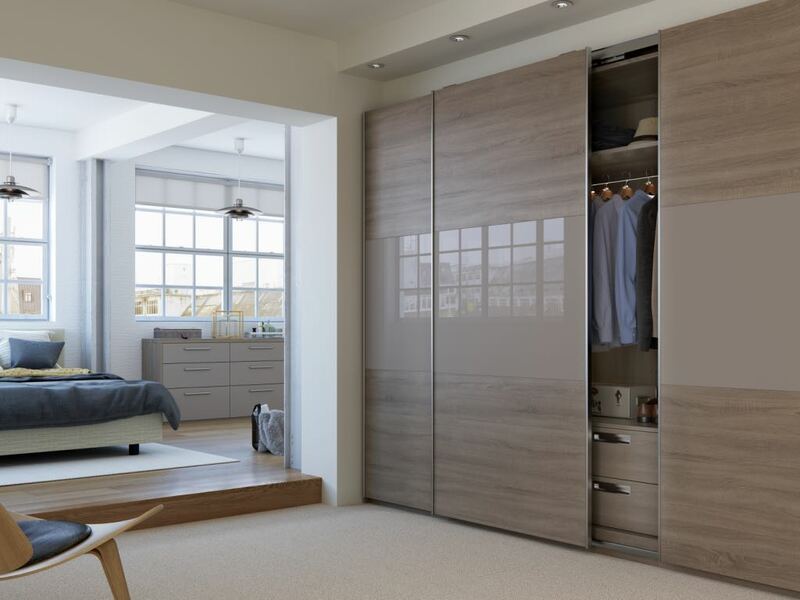 Clean, sleek and smooth in a range of stunning wood effects. Bespoke design and made to measure for any room. Sleek and sophisticated. This furniture will blend into your room like no other. Check out the bespoke dressing table, which adds the finishing touch. Super smooth surfaces deliver the European styling that's become so popular in the UK. 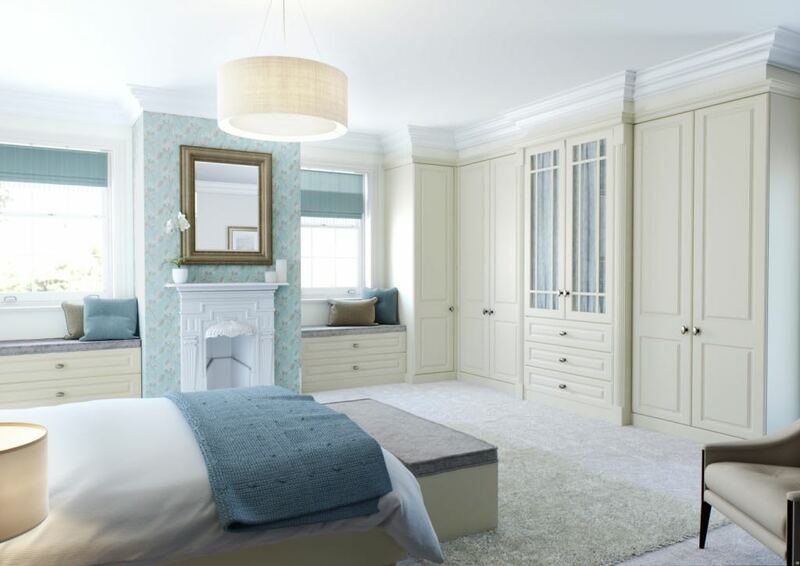 Elegant panelled doors based on the classic shaker style. This range comes in a soft matt finish and a section of neutral shades. Raised and fielded doors for that touch of elegance. 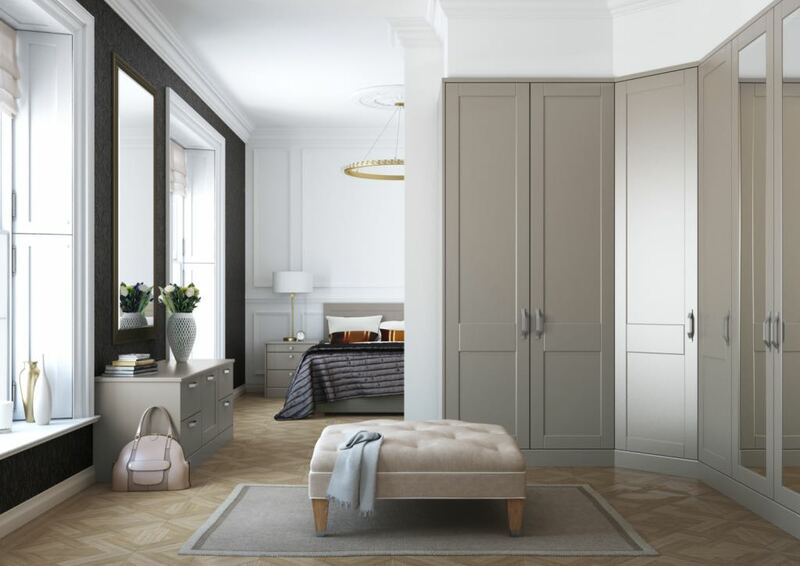 Personalise your look with glazed or mirrored doors. 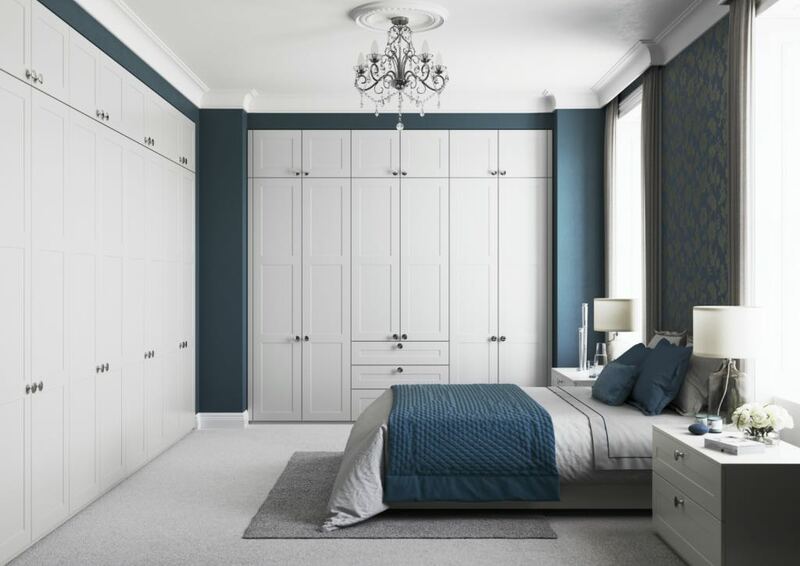 If you're looking for a freestanding sliding wardrobe that oozes quality and class, you're in the right place. 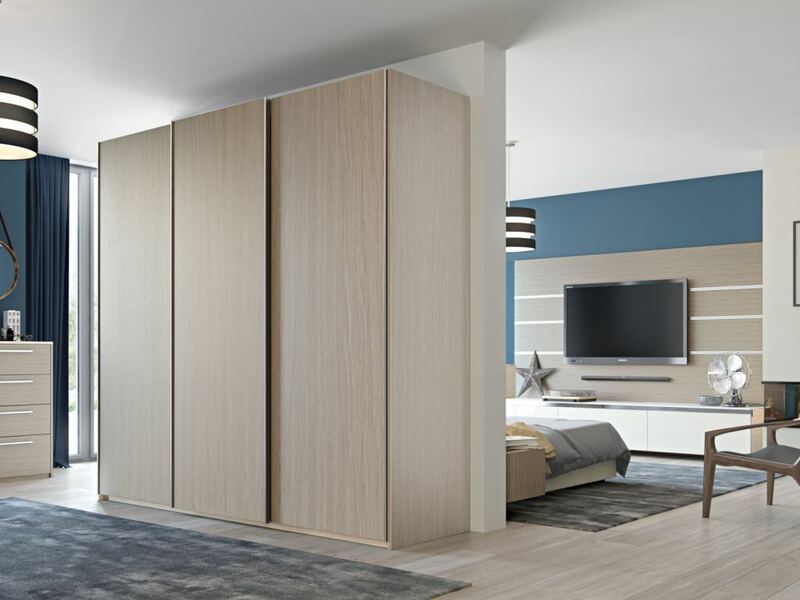 Crafted in the UK using high quality MFC in three distinct styles, these sliding wardrobes add the finishing touch to any bedroom. Full height door finish, three piece or three piece letterboxed. Mixed and matched, complementary or contrasting. Create something truly your own. 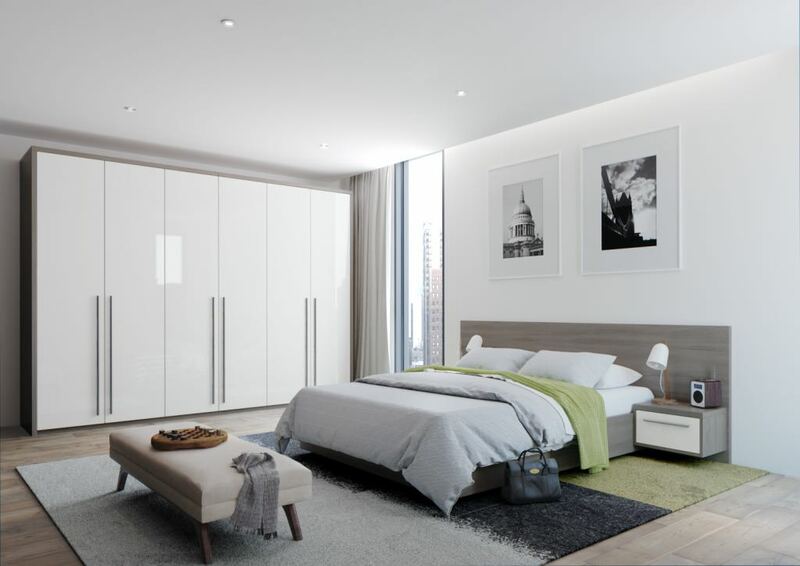 Custom internal storage and a variety of internal lighting options can transfer a simple wardrobe into a work of art. The doors themselves run on the class leading Hettich® mechanisms delivering a smooth motion that will last for many years. Three piece design in Bardolino Truffle Oak Matt Finish with Gloss Pearl Basalt as the central feature panel. Three piece design in White Gloos Finish with Bardolino Truffle Oak Matt Finish. Single full height panel doors in Oak Dark Matt Finish. Everyone is different and so is the way we like to store things. The On Trend furniture range can be designed to meet your needs. 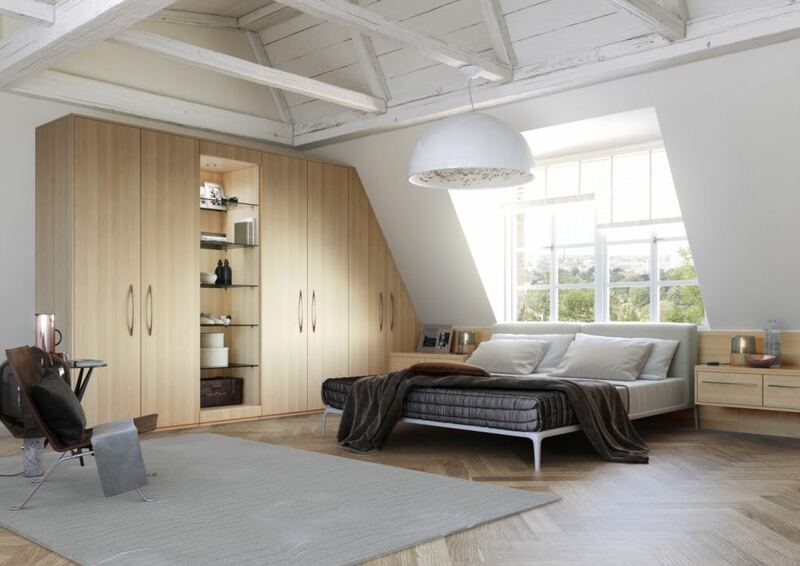 Drawers, shelves, hangers and rails can all be designed exactly to your specifications. The options are endless and the design process is fun. Why settle for someone else's idea of "organised" when you can do things your way. 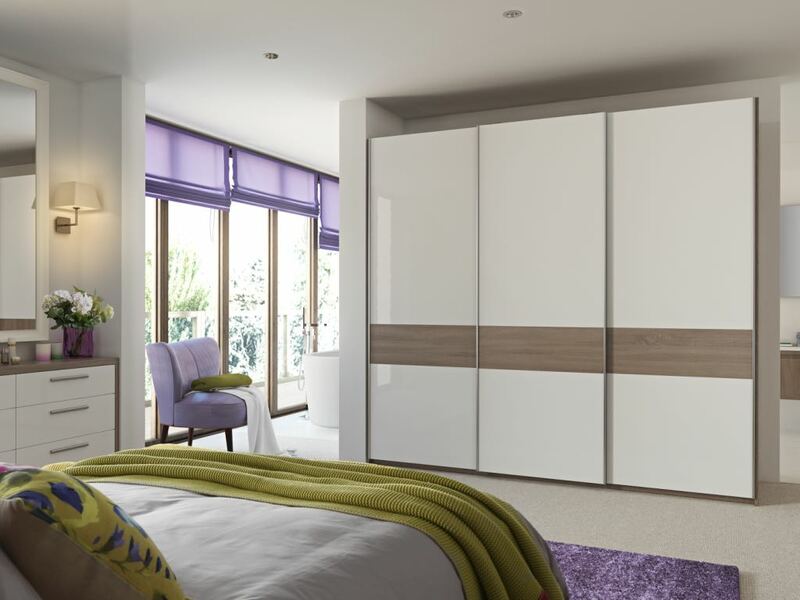 The On Trend range of bedroom furniture isn't limited to wardrobes. There's everything for the perfect bedroom. 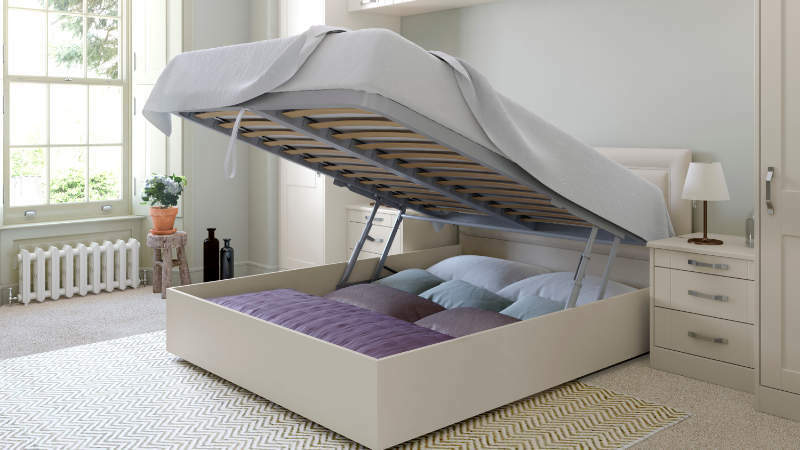 From individually designed drawer chests, to bedside cabinets, headrests and ottoman beds. All come in colours and finishes to complement your chosen wardrobe. Blum® drawer box runner with single extension Blumotion for effortless soft closing. 30kg Capacity. We reserve the right to change products at any time. Please note: Due to variations in computer screen technology, the colours you see might not match the physical product. Please contact us via this website and we'll send you a sample colour swatch.